The property features two guest houses that have been converted from unearthed 150 year old water storage tanks and provide for 150 sq. 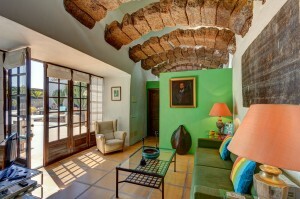 metres (1610 sq. 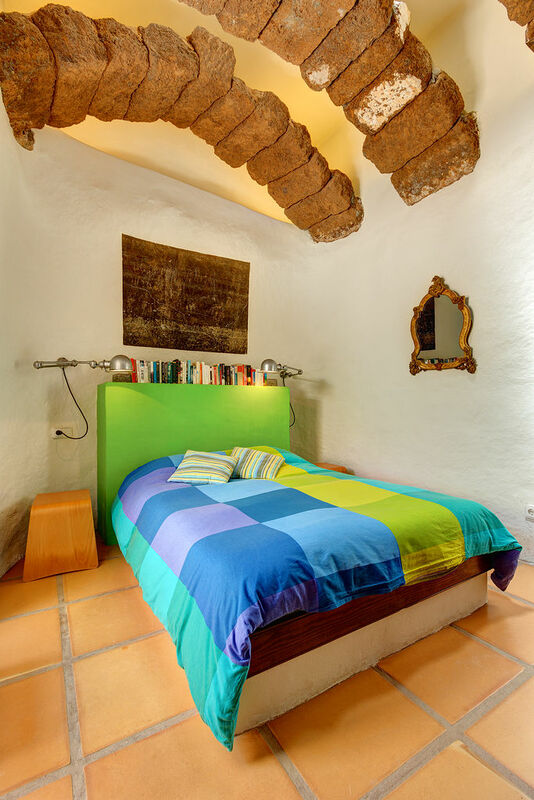 feet) of living space. 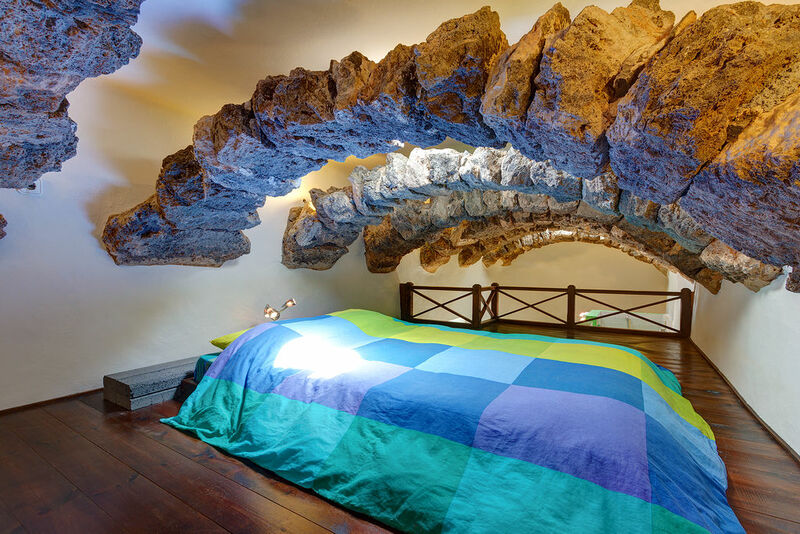 Its spectacular stone roof arches and a lava grotto remain intact. 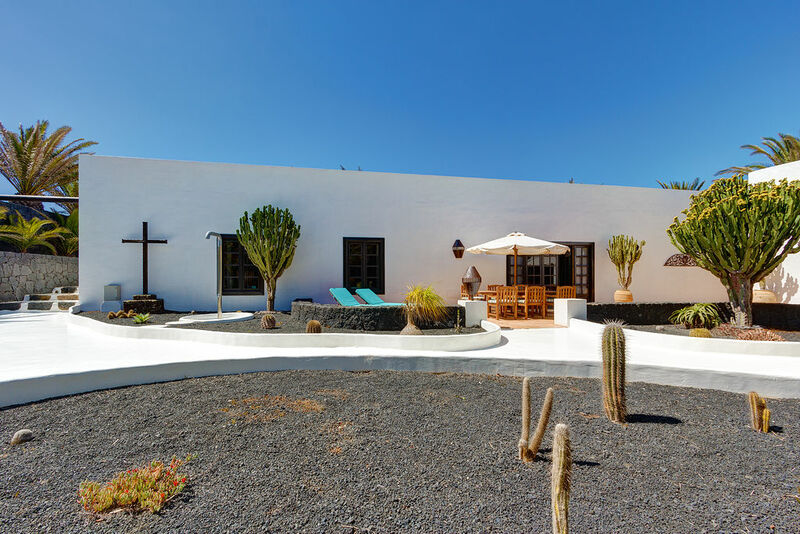 The guest houses exemplify the unique use of volcanic rock, which personifies the natural environment of the Island. 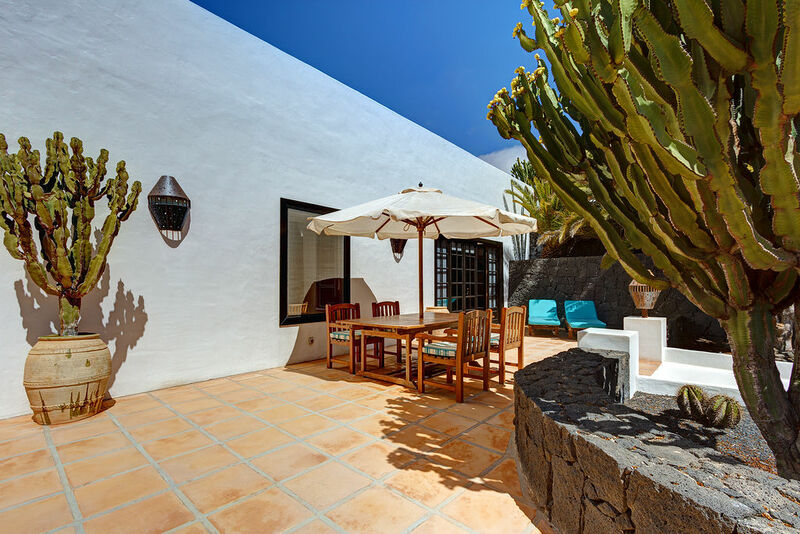 Each guest house forms a separate and completely self-contained unit with its own terrace space and is equipped with the latest modern conveniences. 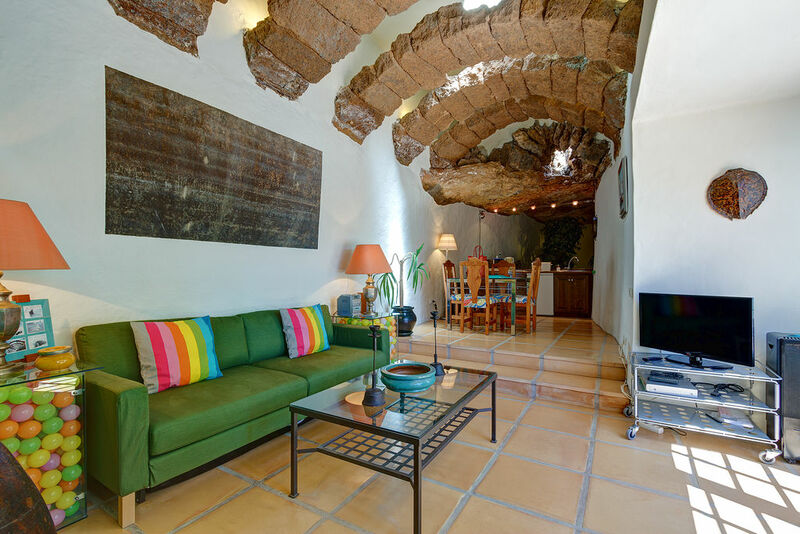 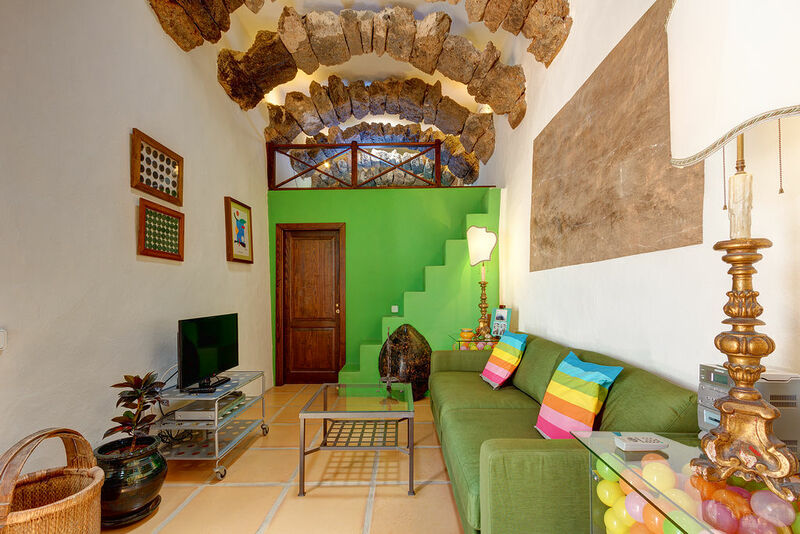 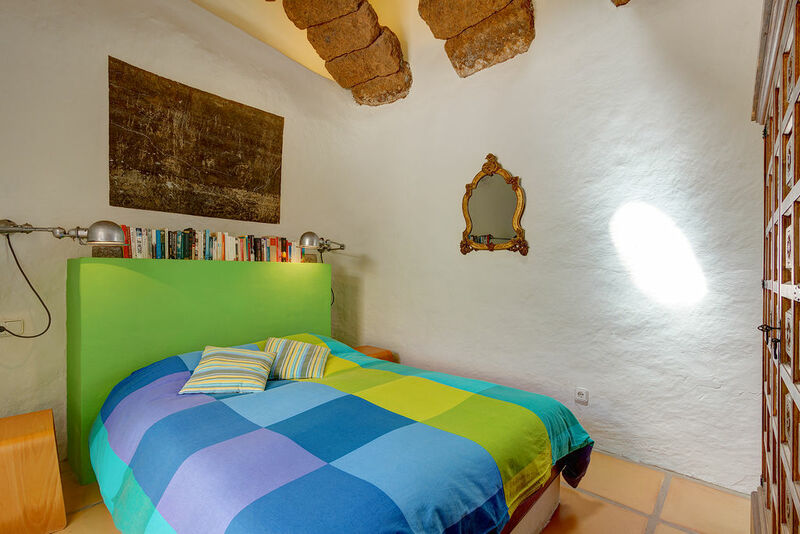 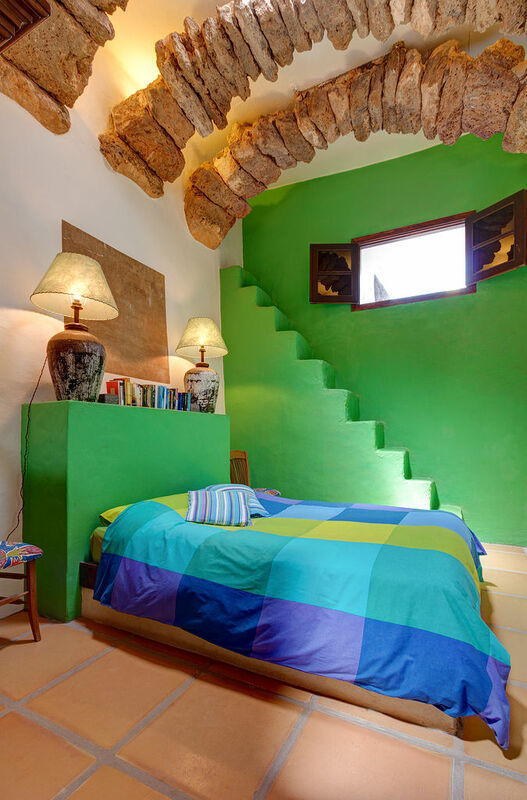 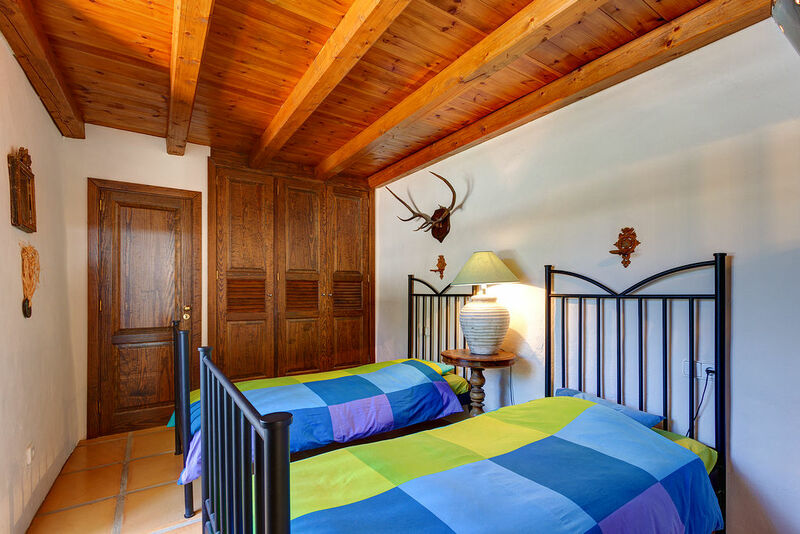 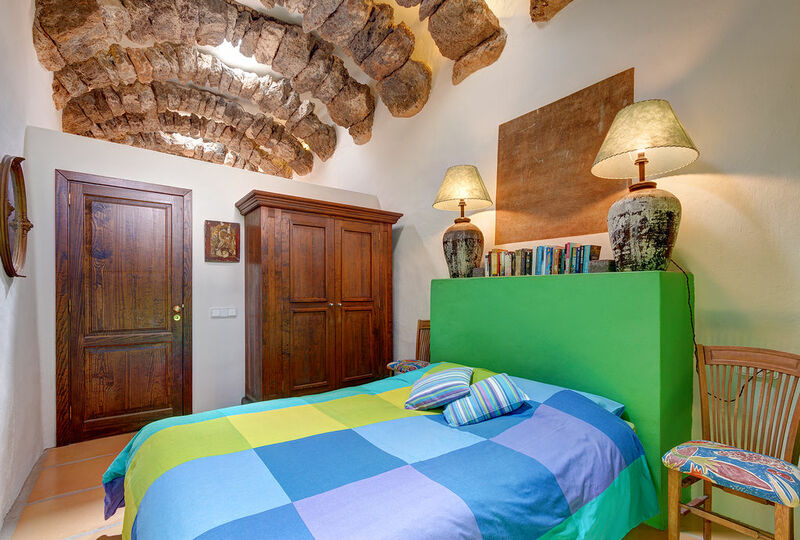 La Cueva provides for two double bedrooms and an alcove capable of sleeping two extra persons. 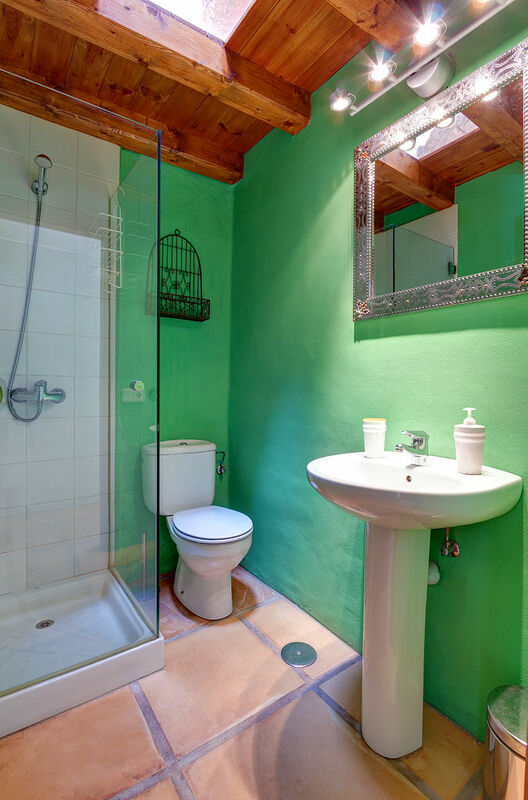 The main bedroom has a shower en-suite with tropical garden. 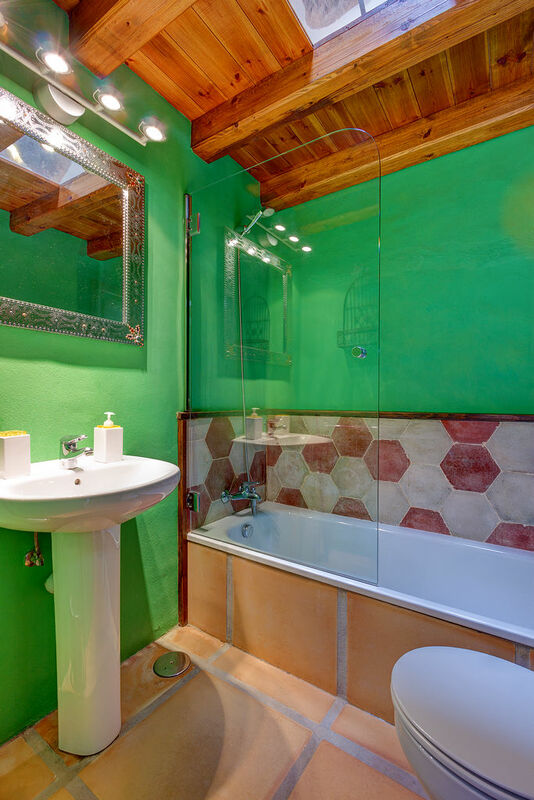 Another bathroom has full suite. 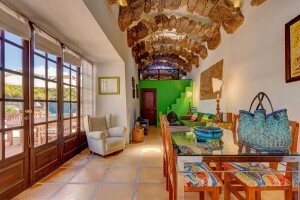 El Cactus has one double one twin and a double bedroom on the Mezzanine level. 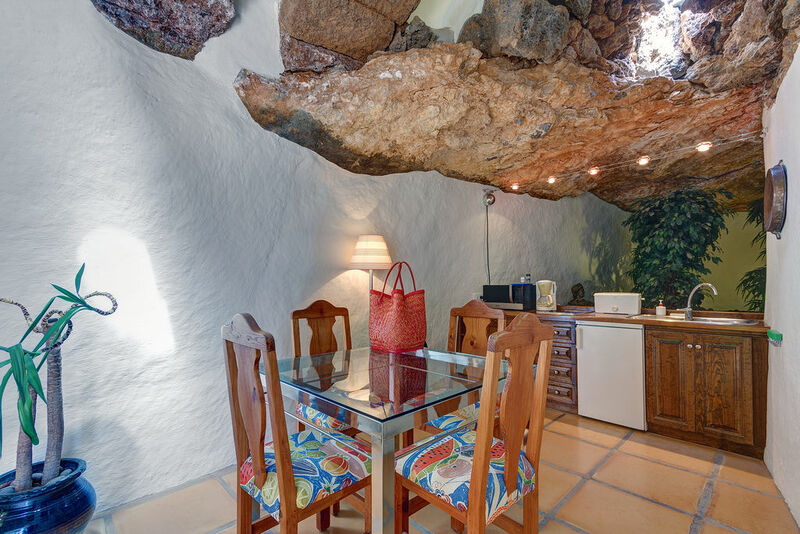 From its living area one looks onto a tropical garden amidst an original lava grotto. 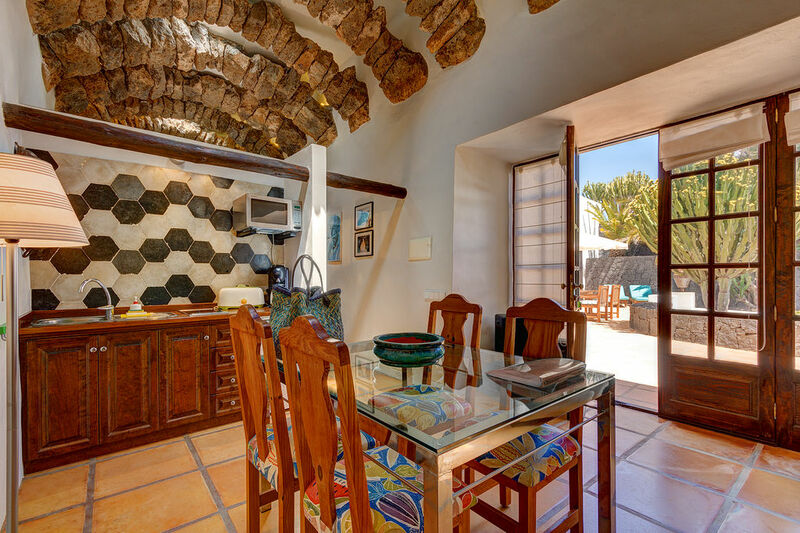 Each house is furnished with style and flair and provides for a living room, including TV, DVD player and Hi-Fi unit, dining area and a small open plan kitchenette. 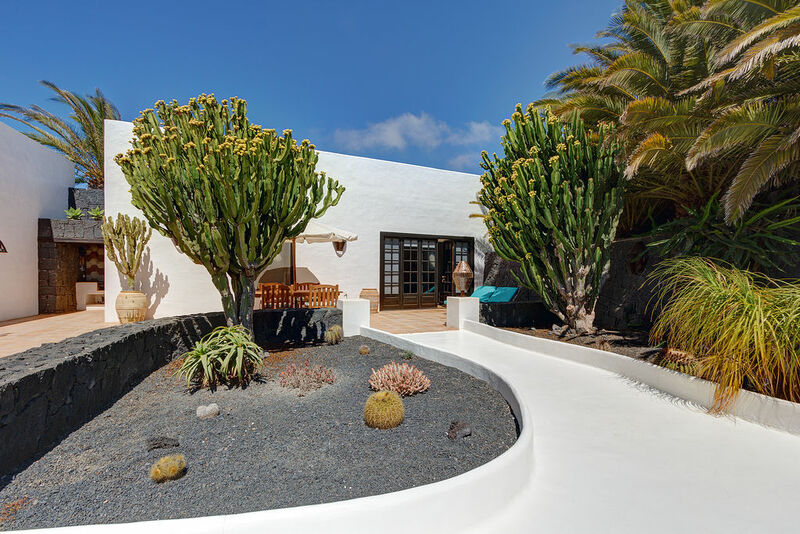 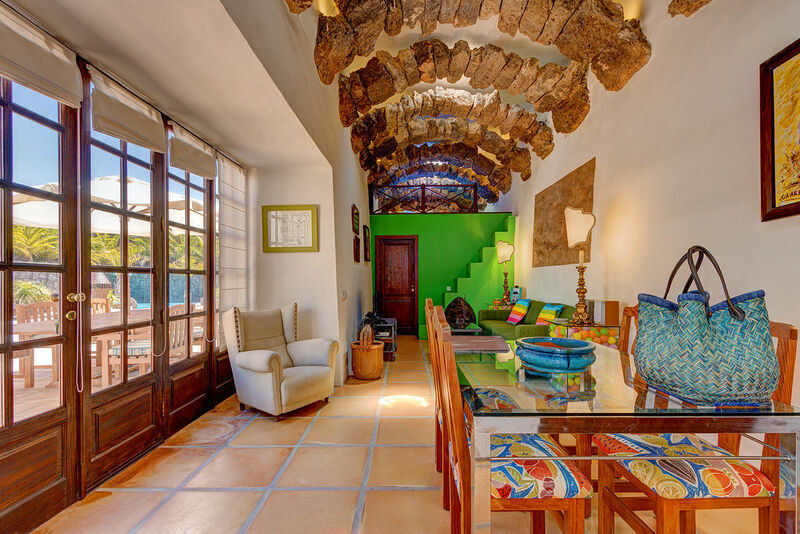 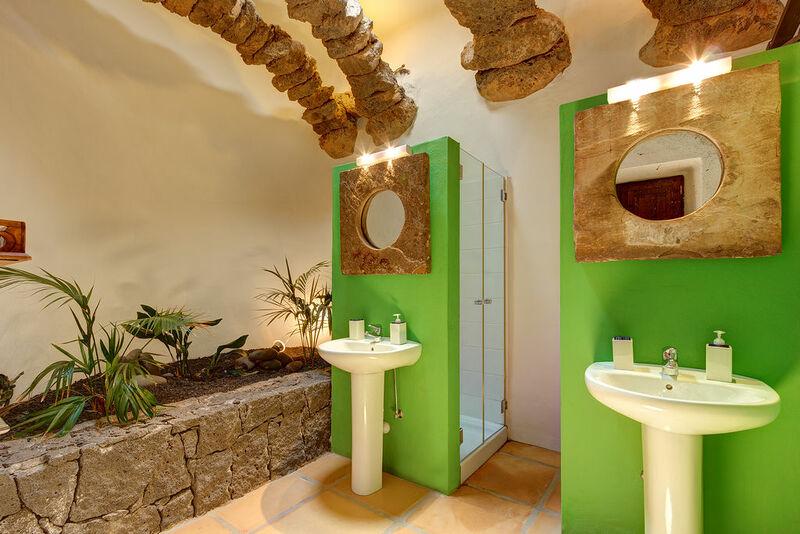 The guest houses also exhibit the influence of the late artist Cesar Manrique, in particular the use of natural lava and interesting combinations of colour. 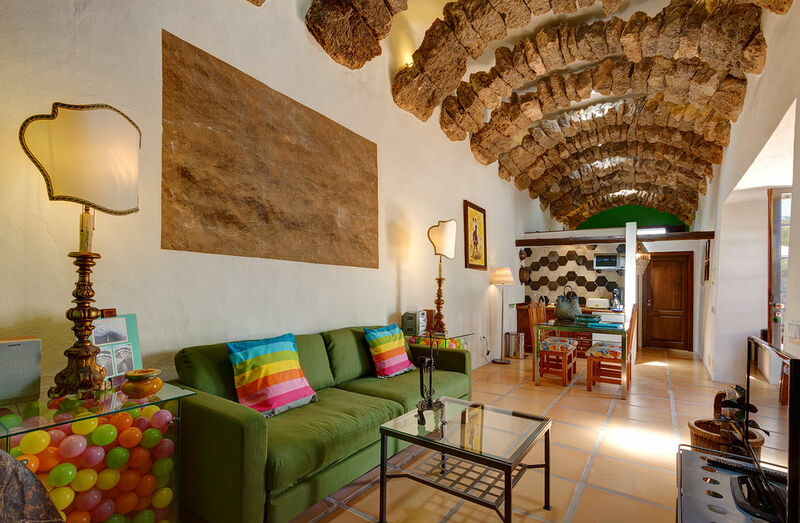 The eclectic mix of natural materials and antique Canarian furniture have been combined with quirky modern artwork and unique touches such as tiles from an ancient Italian church. 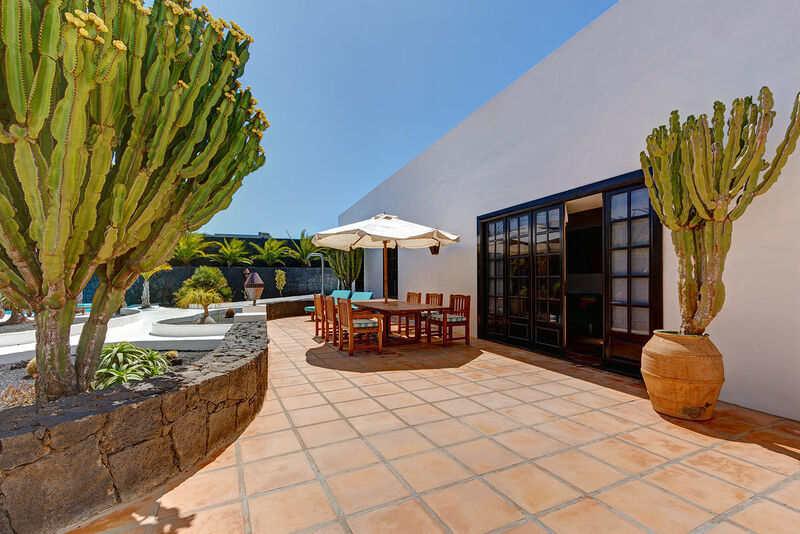 Both guest houses share a large cactus garden and each has its own terrace space with patio teak furniture, sunloungers and king-size parasol. 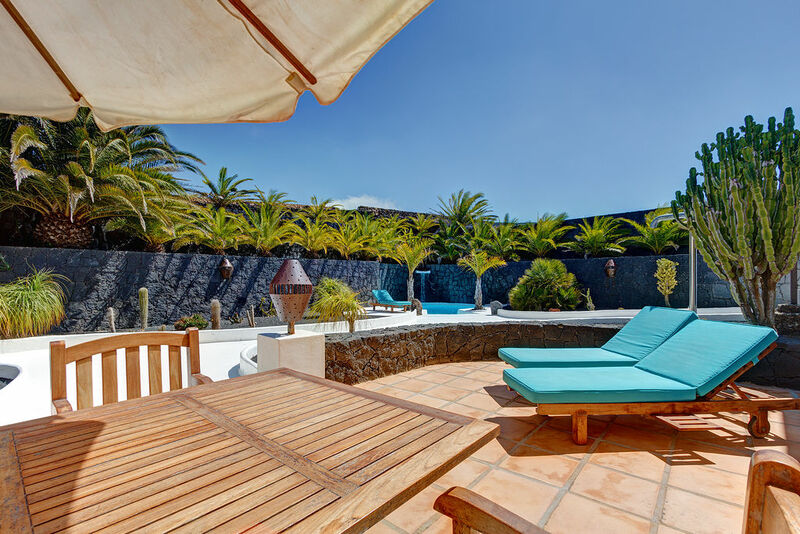 The garden and terrace are reminiscent of a giant grotto as both have been carved out of the volcanic rock and are surrounded by walled lava terraces. 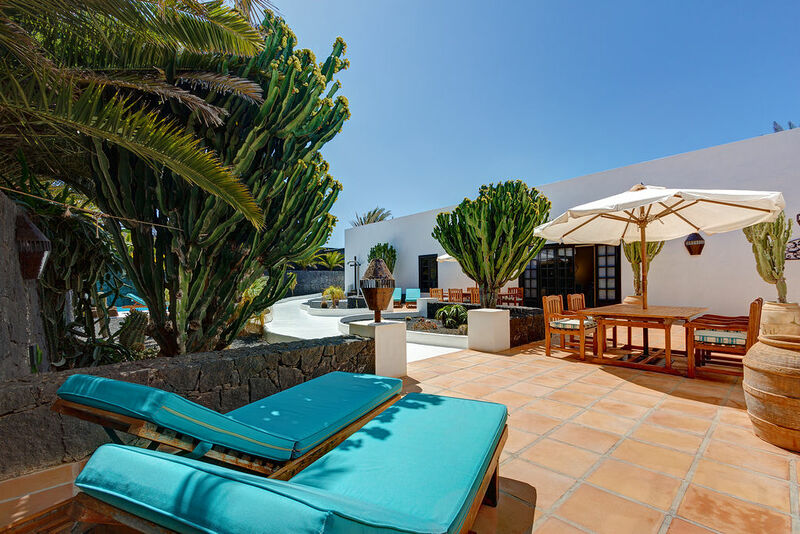 Each terrace has been planted with tropical palms creating a lovely backdrop to the pool and garden. 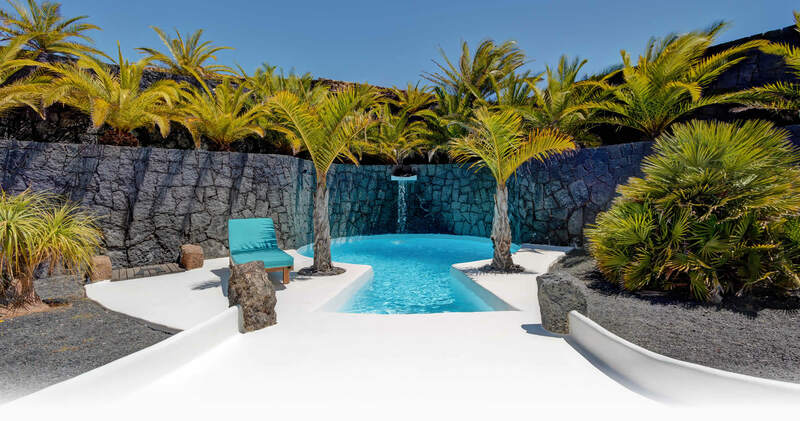 The circular shaped swimming pool features a waterfall. 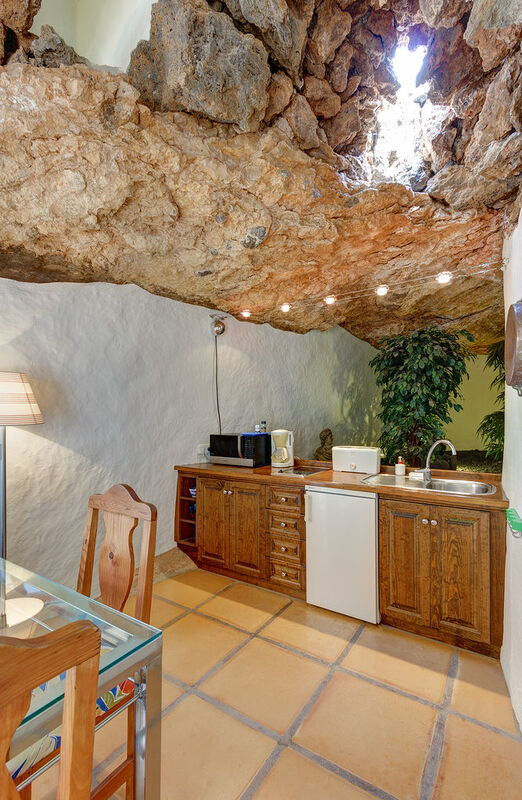 The unusual design forms a sheltered sun trap, which is totally secluded and unoverlooked. 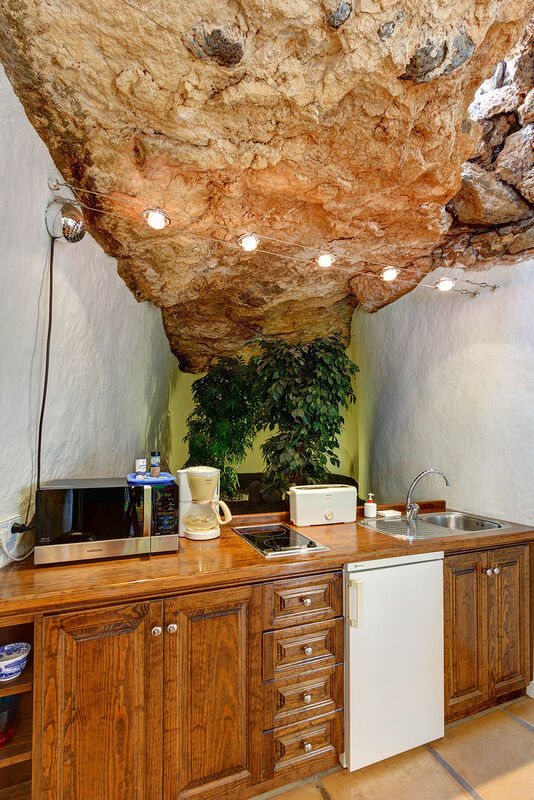 Other facilities include a barbeque grill and poolside shower.